Description: Character Role- Sister-in-law. Traits- dark complexion. Height- 5'3" to 5'6". Description: Budget - Profile based. Traits - Good acting skills. Freshers are welcome. 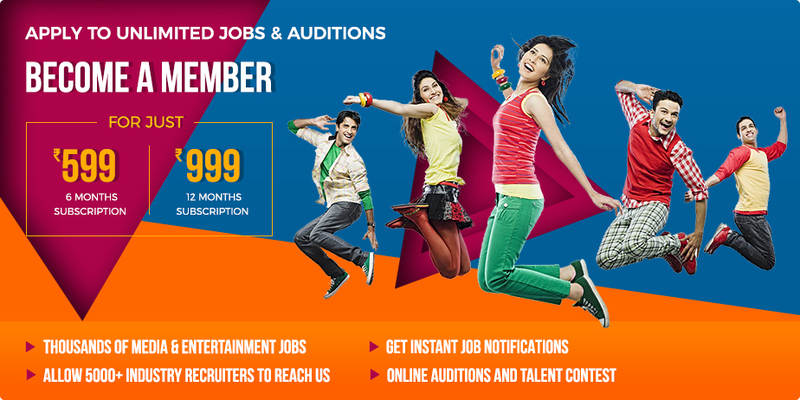 Description: Looking for fresher/experienced artists for Bollywood Movie. Applicant must be good looking and have good acting skills. Budget will be based on profile.